Want to discern your place in God's global mission? We desire to help you as you seek to model your life after the faithful witness of Jesus Christ and the saints, as told in Revelation. Join us December 27-31, 2018 for InterVarsity's triennial missions conference to be held in St. Louis, MO. Can't join us in person? Go to Urbana.org to learn more about live streaming, find Instagram feeds, download the Urbana app and more. The Emerging Scholars, Graduate Student and Faculty Lounge will be a gathering place for scholars at all levels - undergrad, grad, postdoc, and faculty. Stop by for food, good conversation, encouragement, resources and opportunities to network with others who are pursuing a career in scholarship and the academy. There is no age limit for attending Urbana. Every Urbana draws people from all over North America who want to learn more about global realities, current missions issues, and their place in God's mission. Come meet other graduate students and faculty in the GFM Lounge at Urbana18. What's at Urbana for faculty? Faculty are invited to participate in faculty programming designed to help as faculty lead and guide students in recognizing the ways God's mission for them fits into their areas of study. God's word says to go and make disciples in all the nations. Next time you are at the student union, the cafeteria, even your department meetings or your own classroom, take a look around. International students have brought the world to you! As a faculty member, your faithful witness can go where you may never set foot. We encourage you to join us at Urbana to look at an integration of faith and work as you live out your calling on campus. On December 29, Graduate and Faculty Ministries will host a focused day for faculty connection, including a special faculty lunch and Dr. John Inazu, Professor of Law and Religion at Washington University will be speaking as the evening plenary. Please stop by the Emerging Scholars, Graduate Student & Faculty Lounge open from 1 – 5 PM at the Drury Inn & Suites Convention Center across from the America’s Center for more information on the lunch and other events and seminars of interest to faculty. Click here to read David's Urbana story, written leading up to Urbana 15. Join with other students and professionals to explore how God might use you in his global mission through your work and business. Connect with others interested in making the workplace sacred, study the Word, and meet with mentors to learn how God uses business to advance his purposes and to figure out your next steps. Learn more about the Urbana Business Track. These are the seminars we recommend to be most helpful to faculty and graduate students, however, you are welcome to attend any seminars you find most relevant to your walk, witness, or work. Faithful Witness in a Scientific World, Dr. Josh Swamidass, Professor, Washington University, St. Louis. Learn more about these Graduate and Faculty Ministries seminars. Other seminars and tracks may be found here. I'm not planning to be a missionary, why should I go to a missions conference like Urbana? We are so glad you asked! Urbana is focused on helping you recognize how you can be a part of what God is doing in the world, using the gifts and passions he has given you whether that be on your campus or around the globe. Through multicultural worship, studying scripture, and powerful testimonies from Christians from all over the world, you can see God at work in new, powerful ways in order to grow your view of him and his plan for your life. Your calling, your purpose, your place in God's global mission might be as close as being a social worker in the community, teaching in a neighborhood school, or as far away as conducting business in Singapore or overseeing medical care in Nigeria. We cannot guess at what Urbana might mean to you or how it might change your life. We can, however, share with you the testimonies of students and faculty who have attended Urbana and have been led to a life of faithful witness. 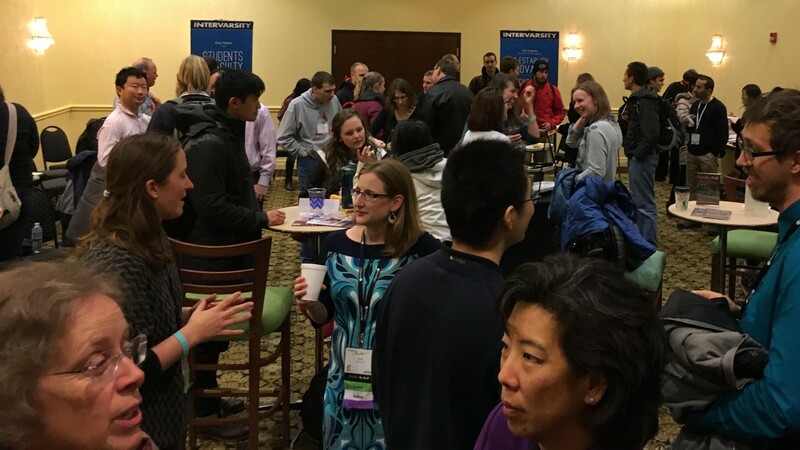 Read more about Urbana 15 at the Emerging Scholars Network blog. To read more personal stories from those who have attended Urbana, click here. GFM Staff: To learn more about how you can share Urbana on your campus, visit the Urbana page for InterVarsity staff.